New York Bluesman BOBBY RADCLIFF. One of the most innovative & original musicians on today's blues scene. 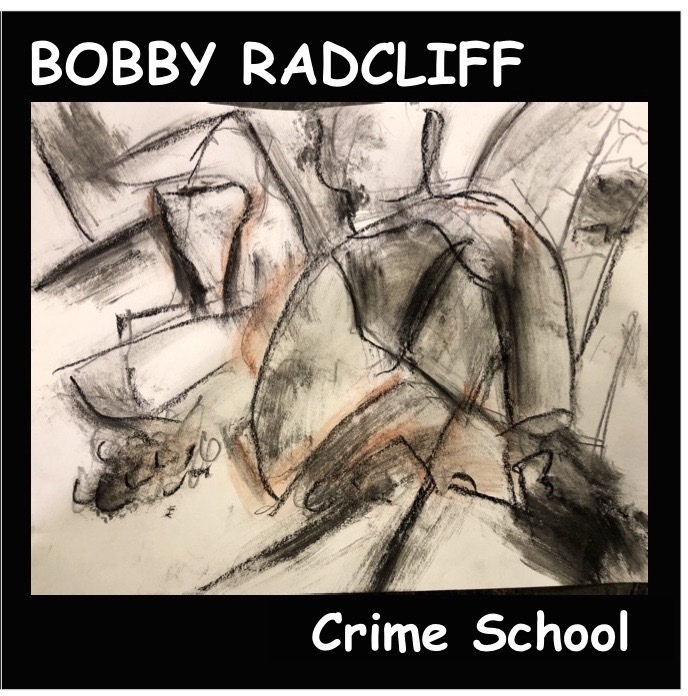 2018: BOBBY RADCLIFF's Crime School. A innovative new cd featuring mostly original material. BAND: BOBBY RADCLIFF (guitar/vocals), CLINT WARNER (guitar), CHRIS MATHEOS (bass), KEITH HURRELL (drums). Recorded in California March 2018. Click on CD cover below for audio samples and ordering info. 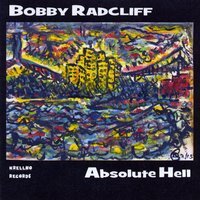 2016's experimental blues cd "ABSOLUTE HELL". All original material recorded with his west coast Usa band in California. CD BABY, I Tunes, etc. THROUGH THE YEARS VOL 1. 2017. a mix of unreleased studio, rehersal, and live recordings. 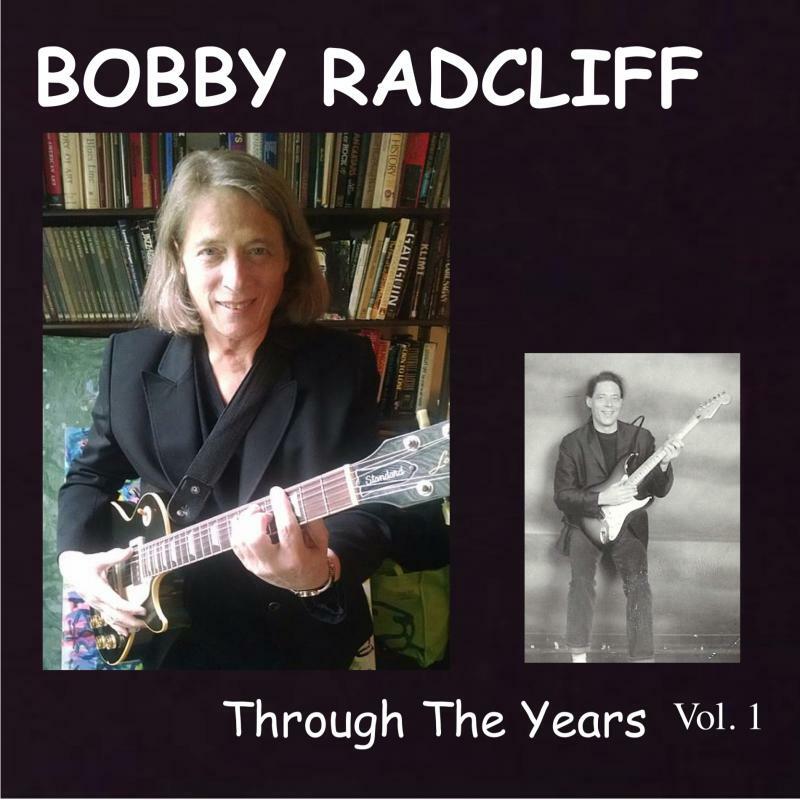 Most of these songs never have appeared on Bobby Radcliff recordings until now. This cd is only available at Bobby's LIVE SHOWS. The new all original CD "Freaking Me Out" (2011), is his most unique and creative project he has done to date. Eleven new songs are featured mixing Radcliff's unique Chicago Blues guitar style with his intense lyrics. 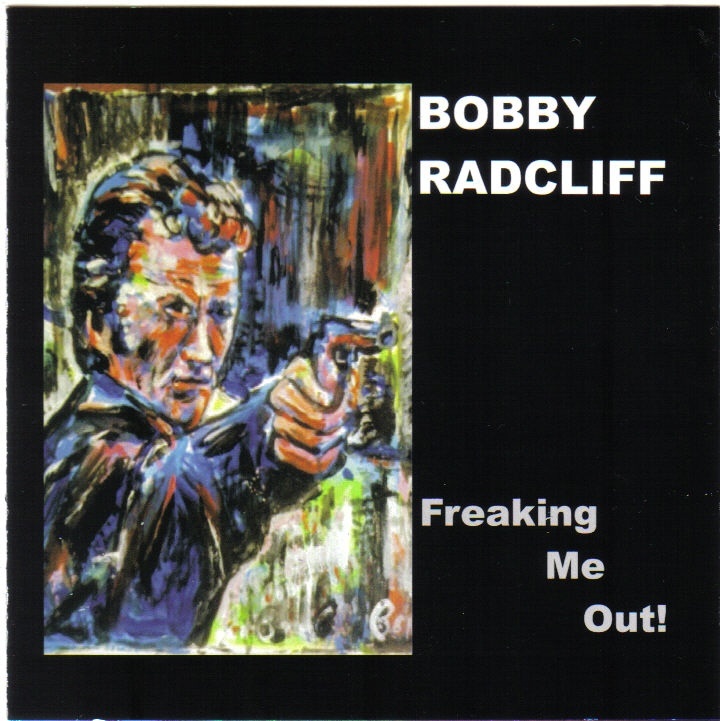 The CD also features Radcliff's original artwork (as seen here on the front cover). The CD was recorded in San Francisco with his west coast band: Chris Matheos (bass) & Robert Danielson (drums). Self produced and recorded live in the studio with no overdubs. Raw live trio!! A indi release on Krellno Records.